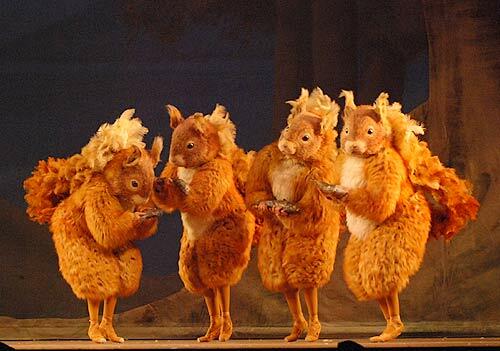 It premiered in 1971 – the Royal Ballet presentation of The Potter tales. There are lots of clips on youtube and you can find it in it’s entirety on DVD on Amazon. 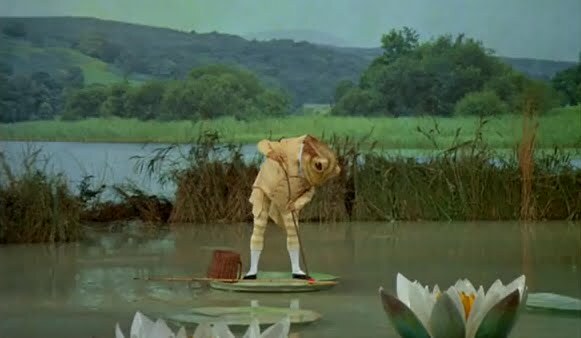 My strongest memories are of the Jeremy Fisher and squirrels on paddle boats segments. I love the moodiness and there is an intersection between pretend and real elements – a particular note – that has always held a huge appeal for me. I believe this film played a huge part in who I became and what I do. You might also enjoy this series of behind the scenes photos by Lara Platman of the making of the costumes ( it is still performed on stage). Thank you. I love the last photo with the realistic costumes. I saw the ballet in London and loved Jeremy Fisher, too. I’m so glad you enjoyed it Dolores and Dianah that must have been wonderful – I would love to see it someday. I found this DVD on eBay for $2.00. It is amazing! I had never seen it before. My favorite part was the squirrels. Thanks for sharing, Ann. How wonderful! Thank you for sharing. I’ve been looking for childhood movies on youtube as well. It’s an unusual revisiting. Sometimes I revisit with the eyes of the adult I am now. And sometimes I become the child again. Yay for youtube!